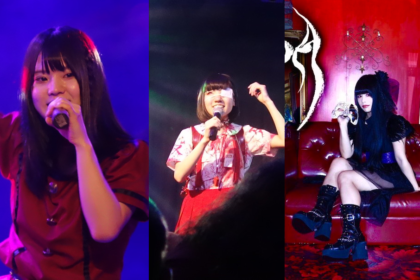 Idol outfit Moso Calibration emerged from the Dear Stage stable (home of Dempagumi.inc) in 2013. Currently a 5-piece group, MoCali have built up a respectable fanbase on the back of tunes such as ‘Chichin Puipui’, ‘Unbalance Umbrella’ and ‘Bang Bang No.1’. 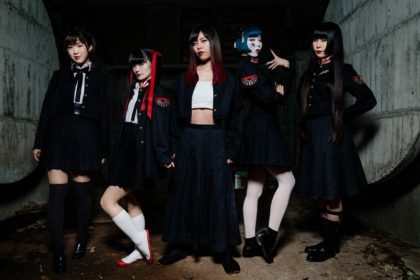 Consisting of Kurumizawa Mahiru, Sakurano Usa, Futaba Nae, Hoshino Nia, Amamiya Iori and Mizuki Yumeko, MoCali are signed to the Sony Music label. 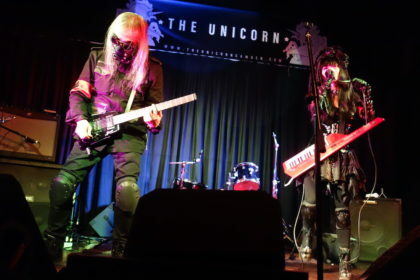 The made their first UK appearance at Hyper Japan in the summer of 2017 and a special compilation album Moso Calibration – Greatest Hits was released via JPU Records to coincide with their UK visit. What are your opinions on the growth of idol pop, particularly those of acts from Dear Stage in Akihabara? Usa: Dear Stage will have been around for 10 years by next year, we have only been around for four years which is less than half the time so I suppose that we have to thank our seniors for that. I feel like we exist thanks to those groups that came before us, like Dempagumi.inc, and recently we’ve been lucky enough to do some collaboration with those people, we’re going to do gigs together and things so we are grateful. 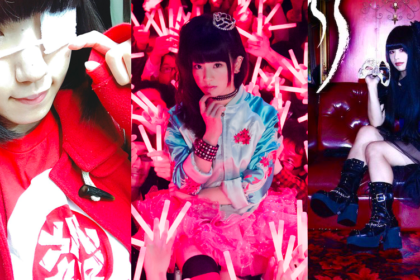 Speaking of Dempagumi.inc, underground idols like you are becoming very popular abroad. How do you feel about being able to come here to perform and release an album? Nia: We saw that many people turned up and it was more than we expected, they’re really expressive and aren’t afraid to show us their feelings beyond the lyrics. So we are trying to return their affection, just with slightly broken English! Your music has also been used in anime, do you think it’ll help the growth of the band? Usa: We love anime so it was a massive confidence boost for us to be able to sing for an anime. In terms of the audience, especially for those abroad, we could reach not only idol fans but also anime fans. People got to know us through anime as well, and we learnt that particularly from yesterday’s and today’s gig, and that was great. What are your thoughts from changing from traditional idol sounds to EDM? Mahiru: It was a challenge for us, in Japan a lot of people were surprised that we changed our song styles but other people accepted out music. We have a different variety of songs so they can cater to a wider audience. EDM songs are popular in the UK! We didn’t know this fact so we were surprised but we enjoyed it. You have started working with JPU Records on your new album, what was it like to collaborate with them? Mahiru: This is the first time for us to release an album, we haven’t even released one in Japan so we are very glad we could do this. We are surprised that we released a lot of songs that belong to Sony records, we are happy! How do you think this trip to London will affect your music development in the future? Usa: We want to make a different range of music, even within EDM we could try Drum and Bass, they are songs that we can enjoy at gigs with the audience. So, we get to select songs or sometimes write lyrics so we would like to create music that we can enjoy with the audience. In terms of taking on different genres and writing songs, what are you inspired by? Yumeko: We take inspiration from daily life and everything that we see, that’s what we use mainly. Mahiru: I play Otome games and I am inspired to write lyrics from that. Mahiru: I like Diabolik Lovers, in Japan we also have a Prince of Tennis Otome game. I am inspired by those games. Do you want to spread the image of Akihabara culture, like games and anime, across the world? Iori: When we walked around Akihabara recently we saw lots of tourists and foreigners, it’s great that they come to see us so this time we should go out and meet them. This event was a great opportunity to go out and see people that are into anime or doing cosplay, it feels like we can be the bridge to bring Akihabara culture to the world. 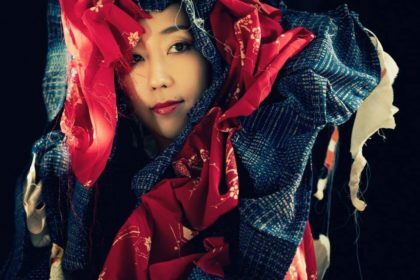 Mahiru: I want to communicate with a lot of people using my English skills, I want to perform in foreign countries including the UK and other European countries. I want to introduce our music and Akiba culture, we have also learnt Chinese so we can be a bridge between Japan and other foreign countries. Dear Stage holds a lot of events that foreigners usually don’t know about like Hiru-gohan, would you like to bring those events abroad? Mahiru: I want to hold my ‘Hiru-gohan’ event so I will make dishes for the audience in Dear Stage, I’d like to do that on tour as well! We make Ramen, Sushi, and lots of other different dishes. Me and Iori like to make food, and she is good at preparing squid. We give it to 200 people in Dear Stage. Usa: We want to go to many other countries, to see lots of things we haven’t seen and for lots of people to know more about our music. We want to have a solo tour. 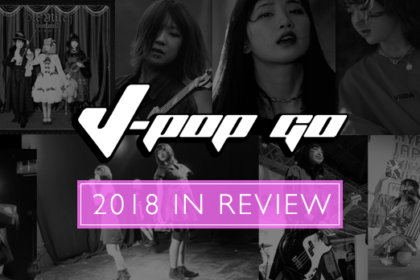 J-Pop Go extends its warmest thanks to Moso Calibration. Thanks also to the team at Hyper Japan. Special thanks to Karen Kemp, Roxy Simons and Yuriri Naka.